Early in 2017, Samsung Pay was launched in the United Arab Emirates, marking a huge moment for the country. 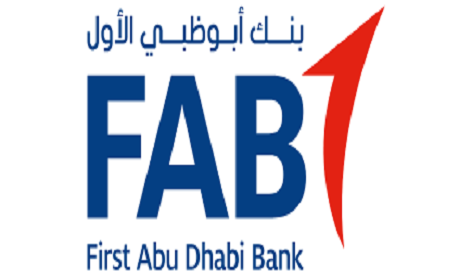 Just one year later, First Abu Dhabi Bank (FAB has launched a new sound-based payment system through its digital wallet payitinUAE as well. Many other e-wallet services have also been established in the country, providing the population with a more convenient and much faster way to pay for goods and services at a till-point and, of course, to pay for their online shopping. Cash has been a major part of the UAE for many decades. The people who reside in this country has mostly preferred to use cash when they dine out when they go to watch a movie, and even when they need to do some shopping. As recent as 2015, a survey done by Network International in the UAE revealed that the residents in the country still preferred cash over cards and other payment solutions. Just three years later, in 2018, it was reported that people have started to shift from paying with cash to rather opting for alternative solutions. At the time, The banking cards were the preferred option. Now, people in the UAE are starting to notice the many benefits that e-wallets also hold for them. These services still allow them to use their credit, prepaid, and their debit cards, but all they need to have with them at the store is their smartphone. E-wallet solutions are becoming popular in the country, with multiple options available for customers that are often linked to their bank accounts, or the cards that they would usually carry around with them to pay for services or physical items. These solutions do not only come in handy when doing shopping locally but are also useful for completing purchases on e-commerce faster than ever before. In 2017, there were 38.6 million transactions made through the e-dirham service provided in the country, an e-wallet platform that allows people to connect a smartphone app to their bank account and pay with the use of the NFC feature that is built into their smartphone. The NFC feature transmits a wireless data transaction to the receiver, installed in-store, which then records the credit or debit card data that have been configured in the mobile application installed on the customer’s smartphone. Once recorded, the money is automatically retrieved from their card, and their order is paid for. This is a much faster way to pay for services compared to cards, which require a pin, and cash, which often requires the cashier to provide the customer with change. While cash was once the most preferred way of paying in the UAE, people are starting to change the way they pay for both products and services in the country. With Samsung Pay already launched and Apple Pay quickly on its way, along with many other e-wallet services already established, it is now possible to pay for groceries, dinner, movie tickets, and many other items with a swipe of a smartphone.